From the first time we entered City Media, a comprehensive marketing and advertising firm based here in Lusaka, Zambia, we developed a not-so-little crush on their cool and creative space. So when their Founder and MD, Mutale Mutakasha gave us the go ahead to "invade" their space, we were more than glad to. Check out the pics below. We adore that Skyline art! A little more about City Media? They have worked with everybody from 'Mothers Without Borders' to the Protea Hotels Zambia. or just visit their website on www.citymedialsk.com. Zambia Fashion Week 2014: Day Three! On The Red Carpet: Director of Zambia Fashion Week, Karen Nakawala, poses with Lady of MaFashio, Kahyi, on Day 3 of #zedfw2014. On The Red Carpet: Designer, Petros Giannakakis. On The Red Carpet: Founder/Director of OEMPH! Media, Cathy Fundafunda. On The Red Carpet: Designers, Leeman of Vitenge Ma Boys and Kasonde Nkole of Kasslitas Designs. On The Red Carpet: Zambian Supermodels, (l) Lonah Shawa, and (r) Alice Musukwa. On The Red Carpet: The Designers of Uzangi. We adore the pieces of Chitenge thrown into all three looks. On The Red Carpet: Coretta Mwanza of Asikana Network. On The Red Carpet: #zedfw2014 Day 3. On The Red Carpet: Christabel Lubinda. On The Red Carpet: Day 3 of #zedfw2014. On The Red Carpet: Loving the Edgy look and Chitenge Clutch. On The Red Carpet: Nandi, the official face of DebbieChu. In a DebbieChu Peplum-Pencil skirt. On The Red Carpet: loving the skirt. On The Red Carpet: Cathy Fundafunda of OEMPH! Media and Lady of MaFashio, Kahyi. On The Red Carpet: We are loving these looks! The Chitenge, White, and Black Blazer, and dark lip are everything! On The Red Carpet: We love how fun and light-weight this look is, perfect for taking in all the fashion! On The Red Carpet: A closeup of her Gorgeous bag! On The Red Carpet: That reed bag! On The Red Carpet: Cut-out gown and pretty hand accessory. On The Red Carpet: Angelika Huwiler of the Zambia Fashion Council and partner. On The Red Carpet: TV Personality, Youth Activist and fashionista, Lulu Haangala. On The Red Carpet: Blogger, Martha Chilongoshi. On The Red Carpet: Gospel Artiste, Penjani Nguni (r) and sister, Lusungu Ngúni. On The Red Carpet: loving the Yellow shift dress and courts! On The Red Carpet: Representing the gents. Love It! On The Red Carpet: Designers at this year's Zambia Fashion Week. On The Red Carpet: Mu Mudenda of VALA. On The Red Carpet: Mu and Eva (love the Black floor-length gown). On The Red Carpet: Precious Chipika and Model, Petita Mwanza (r). Day 3 of #zedfw2014, we just had to get a back view of her shift dress, and her gorgeous turban! 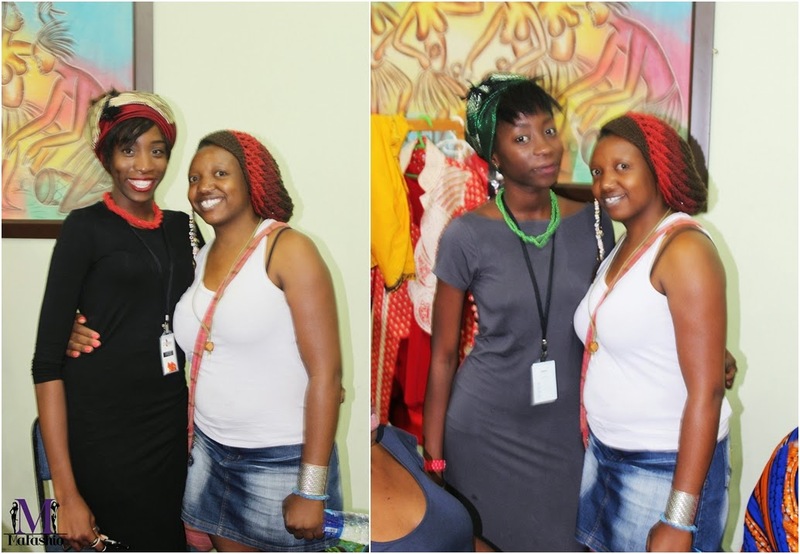 Behind The Scenes: The Ladies of MaFashio, Kahyi and Kii, pose with Zimbabwean Designer, Sabina Mutsvati. Behind The Scenes: Chisoma Lombe of ChizO. Behind The Scenes: IMAN cosmetics. Behind The Scenes: Zambia Fashion Week 2014. Behind The Scenes: Lady of MaFashio, Kahyi, with Designer, Chola Lungu-Mutoni. Behind The Scenes: Designer, Chiza Ngulube of Esnoko. Zambia Fashion Week 2014. Celebrating Zambia at 50. First to Showcase was Chisoma Lombe of ChizO, a newly established brand, showing for the first time on the Zambia Fashion Week Runway. The Second Collection of the night was 'Jewbeli' from Kutowa Designs by Towani Clarke. Kutowa is no stranger to the runway, having showcased both in Zambia and around the world. This collection, a celebration of Zambia's 50th birthday is infused with Copper, and the Zambian national colours. The third designer of the evening was Chiza Ngulube of the famed, Esnoko. Chiza has showcased at South Africa Fashion Week and is a veteran on the Zambia Fashion Week Runway. This collection is called 'Nkosi Two'. Next was Kapasa Musonda of Mangishi Love. This collection (according to the designer) embraced the woman that has grown to know herself, with an array of light-weight fabrics and mellow yellows, this collection is definitely one for summer. The fifth Designer to showcase was Mena Price, also a newcomer to the Zambia Fashion Week Runway, Mena hopes that with this collection (and others), every woman, of every size, ethnicity and creed will feel beautiful and confident. Next up was one of our favorites, Kamanga Wear. No stranger to the Zambia Fashion Week runway, Kamanga present themselves as the go-to brand for Zambian made, ready-to-wear clothing. Established in 2000, Nada Fashions was the next to Showcase. Nada caters to the everyday woman using local fabric with a modern western twist, you'll definitely see lots of Satin, Chiffon and Lace. Nada Fashions have been a part of Zambia Fashion Week since 2005 and (according to the designer) this years collection sports elegant evening gowns and office wear for the African Woman. This year, Zambia Fashion week gave Awards to members of the Zambian Fashion industry, in recognition of their contribution to Zambian Fashion. 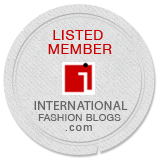 We are pleased to announce that we, MaFashio, took home the Award for Best Fashion Blog 2014! Diana Lungu, Most Inspiring Model 2014. Lonah Shawa, receives an award for her outstanding contribution to Modelling in Zambia. Deborah Chuma, Upcoming Designer 2014. Next was Poleka by Chola Lungu Mutoni in collaboration with Geo Designs, a fitting collection to celebrate Zambia At 50. Hailing from Zimbabwe, next to showcase was Sabina Mutsvati,who, might we add, is quickly becoming one of our favorites for her daring and visually stimulating collections. Also showcasing on the night was international designer and winner of the Lifetime Achievement Award, Charity Nyirongo of Mo'Creations & Couture. Next up was Nektaria Donta, a Designer of Greek origin. Showcasing for the first time at Zambia Fashion Week, Nektaria brings a collection fit for the Zambian summer, with Reed hats, Maxi and cut-out dresses. For the accessories enthusiast, Nankhonde Kasonde Van Den Broek gives us Chitenge Life. Chitenge Life is a brand for today's Afropolitan, it is chic, urban and culturally savvy. Also from Zimbabwe, and showcasing on the night was Terrence Chipembere of The Tribe, an urban menswear brand started in 2010. The label draws inspiration from the different tribes around Africa and the afro urban cultures which give the label its signature look. Terrence has designed for Milady's, Mr. Price and has shown at Zim Fashion Week for the past 4 years. Next was Petros Giannakakis, a Zambian designer that has Showcased at Zambia Fashion Week for the past eight years and started his label in 2007. It was then time for the Zambia Fashion Week Celebrity Segment in which designers dress their favorite celebrities. Nancy Handabile for Kutowa Designs. Franciar for VO by Vonneta. Wezi Muyembe Njovu for Amplified Designs. Designer, Melanie Chirwa and her celebrity, her mother. Christabel Lubinda for Mo'Creations & Couture. Karen Nakawala for Nektaria Donta. Shadrock for Afro Retro Fashion. Kiki of 'Ben & Kiki' for Mena Price. Patience Chisanga for Yves Designs. This year, Zambia Fashion Week had representation from Angola, with a colourful and feminine collection. The final designer of the night was "The Count of Couture",Mustafa Hassanali. A celebrated Tanzanian fashion designer, Mustafa has showcased in 27 cities, in 18 countries.